MDSap helped Bank Nizwa implemented a platform for Budgeting Planning and Forecasting using SAP BusinessObjects Planning and Consolidation (SAP BPC) and SAP BusinessObjects Dashboards – through MDS ap to transform its financial planning processes. MDS ap today announced it is the recipient of an SAP® EMEA Partner Excellence Award 2018 for Digital Enterprise Platform. Award has been presented at SAP Field Kick-Off Meeting 2018. GDPR Deadline Right Ahead, Are You Ready? MDSap in collabouration with EMP International is launching the Enterprise Performance Management Study: 2016 and Beyond. 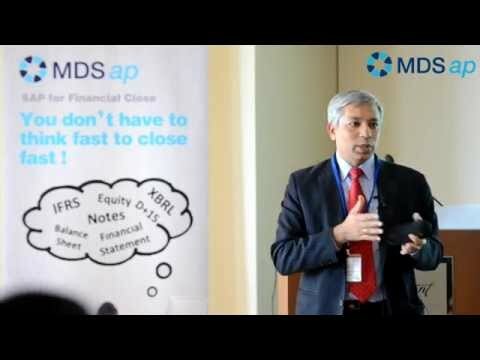 MDS ap partners with EPM International in bid to help businesses navigate rough waters at a time of market adjustments and digitalisation -	Partnership comes at a time when the IMF has cut the region’s growth forecast once more. CFO of UAE Exchange talks about the implementation of SAP BPC by MDS ap. Sybase Products Receives SAP MEE Partner Excellence Award 2016 for Net New Name in CEE MEE Region. The Software Solution provides UAE Exchange with advanced planning, forecasting and budgeting capabilities. MDS ap has today announced it has joined the network of independent Performance Management consultant’s known as EPM International. EPM International, a unique network of consulting organisations who focus exclusively on Enterprise Performance Management (EPM) and associated Financial Transformation. Group CFO of Emirates NBD talks about the bank's SAP Disclosure Management adoption and the importance of selecting the right implementation partner. SAP , the worldwide market leader in enterprise application software, named MDS ap Tech Turkey “The Most Net New Name selling partner Turkey” in recognition of the company’s business achievements in 2014. Sybase Products Poland awarded 2014 Gazela Biznesu Awards – a prize for the fastest growing companies in Poland. Derga Consulting Italy and MDS Ap Tech FZ LLC, part of the Midis Group of companies, have announced a joint venture initiative that will provide an all-round systems approach to integrated and reliable end to end solutions to the Small-to-Medium Enterprise (SME) market covering a wide array of sectors, including ERP (Enterprise Resource Planning), Business Intelligence, Mobility, Cloud, and In-Memory Computing to the SME Market across the Middle East.